North Kihei usually has poor visibility and less marine life than South Kihei. To the South, rocky points covered in coral border all Kamaole I, II, and III. 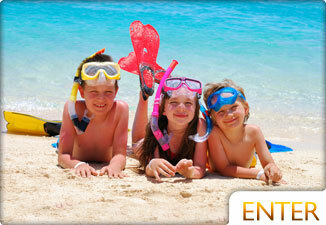 The beaches here all are great for enjoying with friends and family. Kamaole I is the largest and a great location for beach activities. Kamaole is the most popular with locals. Located between the Renaissance and the Wailea Marriott, both Ulua and Mokapu are popular places to snorkel and shore dive. This is Maui's South shore training area for many scuba school's beginner dives. There are two reefs found stringed between the two beaches. The first one is great for snorkeling, and scuba divers best access the second one. The second reef is deeper and has a turtle cleaning station. Polo Beach is a beautiful spot next to the Kea Lani Resort. This is an excellent location for snorkeling. Go to the right to find perfect coral and large groups of fish. Like Ulua and Mokapu, this area has showers and restrooms. Makena Landing, aka Five Caves aka Five Graves, is a wonderful spot to snorkel or dive. The topography here is diverse and sea caves plenty. This area is home to many small harmless reef sharks. Make sure to only snorkel here if there have been no rains or large surf due to the impairment of visibility. This area has plenty of parking and many entrance points. Ahihi Keanau Reserve is located in Makena and one of the more serene and beautiful spots on the island. Parking is a challenge in this area though. The road is narrow which has only a few openings for a car. The reef is shallow and perfect for snorkeling. This isn't the best Maui scuba diving location because it's so shallow; you'd rather be snorkeling, unless you travel far out. The coral here is plentiful and comes in many brilliant colors. Keep in mind that this is reserve, which is why there are so many fish here. The fish are protected! If you want to do some Wailea fishing, charter a boat and stay out of this area. La Perouse is where you'll get your best chance of seeing pods of spinner dolphins in Maui. Snorkeling all around this area is good. If you go early, you may find yourself in the midst of the pod. The rock around here is volcanic and very sharp, so be cautious where you step. If you snorkel here, do it early before the wind picks up. Park where the road ends and snorkel closer to the car for the best spots. Maui's Molokini Crater is an ancient volcanic cinder cone atoll that has served well as a marine life conservation district and seabird sanctuary. The inside of the crater acts as a protective wall from currents, creating a hub of sea life. Molokini is renowned as one of the worlds best scuba diving locations. Diving off of the backside is incredible but only reserved for expert divers. The wall drops off to depths of over 300 feet. The snorkeling is good here too because of the clear visibility that usually exceeds 100 feet inside the crater. Once outside of the crater, the currents are swift and dangerous, so stay away from the edges. Snuba is also popular among the many boats that visit Molokini everyday. Snuba is a way to experience scuba diving without too much training. The tank floats above you as you swim below with an extra long air tube. 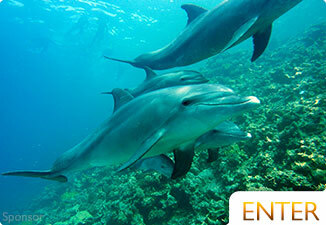 With over 250 species of tropical fish, Maui makes for a great snorkeling, snuba, and scuba diving destination. 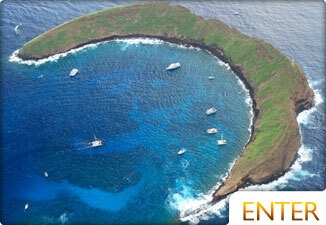 Molokini crater is a perfect boat trip destination and only a 15-25 minute boat ride from the South side of Maui. It can get crowded during high season, but thankfully the crater is large enough to hold many boats and a lot of visitors. 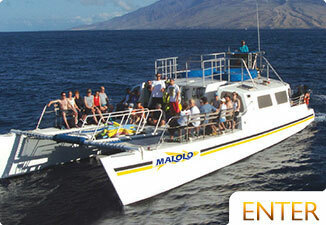 Leaving out of Maalaea, you go snuba diving at Molokini Crater and also visit Coral Gardens aboard the Pride of Maui. Snuba diving is sort of like scuba diving but without the certification, experience or restrictive gear. You can spend your time below the surface without worrying about coming up again and again for air. It's a really fun way to experience our underwater world! Learn more about Snuba Diving in Maui. 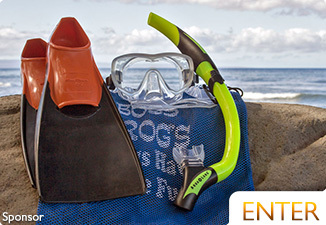 Instead of buying snorkeling equipment when you arrive in Hawaii, we recommend renting an inexpensive snorkeling set from the pros at Boss Frog’s. With more than one location in South Maui, Boss Frog’s beats all competitor pricing in the area with their Deluxe Snorkel Rental, which can be reserved online for free ahead of time or once you arrive. For a low daily or weekly fee, you’ll have all the snorkeling equipment you need without the worry of fitting it in your luggage on the way home or ditching it before you depart. 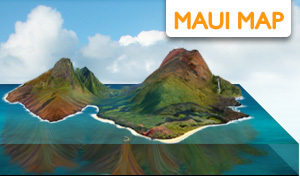 Boss Frog’s also offers great information about South Maui’s best snorkeling spots if you need help planning your adventure! 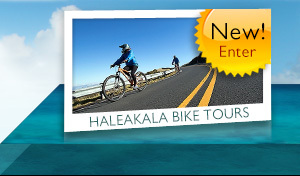 Call Boss Frog’s at (808) 856-4264 for more information. Rent your tank and gear at these locations, or get certified to dive. We've listed some of the best vessels in Maui waters. Learn about each unique location inside and around the crater to dive. Find the best spots to snorkel in and around Maui, Hawaii. 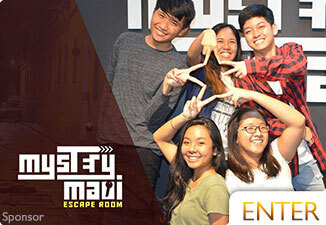 Families with children can have a blast doing these various activities. Learn about the many species of sea turtle found in Hawaii. We've made custom maps and listed the best spots to scuba dive with descriptions. Photos and information on the diverse species of shark found in Hawaiian waters.